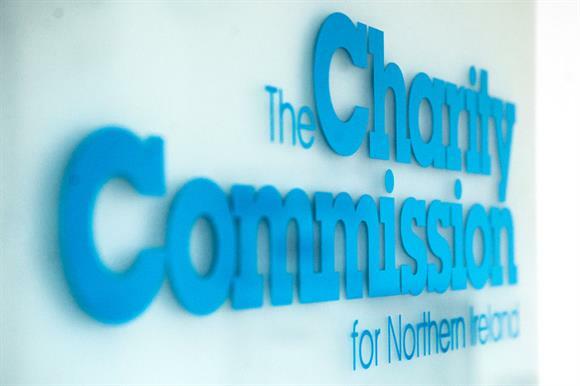 The Charity Commission for Northern Ireland has concluded that more than £13m was misappropriated from a Belfast-based housing charity. The CCNI says in an interim report about its inquiry into Victoria Housing Estates that, as well as loans totalling £13m made to a company in which one of the trustees had an interest, the charity had also been paying salaries totalling £3,000 a month to members of his family – but there was no evidence they were actually working for the charity. The charity had also been paying for a chauffeur for the trustee, named by the regulator as Derek Tughan, according to the CCNI’s interim report, published this week. The watchdog says it is taking court action to recover some of the lost money and has taken the unusual step of publishing an interim report even though its statutory inquiry remains open because of the serious nature of its concerns. It first opened the inquiry into the charity, which manages 420 properties in Northern Ireland and collects ground rent on another 600, in July 2012 when concerns were raised by HM Revenue & Customs. It then appointed the accountancy firm PricewaterhouseCoopers as interim manager. According to the interim report, in 2015 PwC told the CCNI it had found that more than £13m of the charity’s assets had been loaned to various companies in which Tughan had an interest, and so far more than £12m had yet to be repaid. It also found that loans of more than £100,000 had been made to one of Tughan’s relatives and to an employee of one of his companies, which had never been repaid. The report says: "For a number of years, two of Mr Tughan’s relatives received monthly salary payments from VHE, totalling over £3,000 gross per month, but there was no known service evidenced as provided for these salaries." The report adds that the charity had paid £750,000 to HMRC to cover Tughan’s family’s tax liabilities, had paid Tughan’s chauffeur a monthly salary and had covered the costs for London properties used only by Tughan and his family, where "there was no evidence how these properties furthered the charity’s purposes in any way". In the light of PwC’s findings, the CCNI removed Tughan and gave notice of its intention to remove the other two trustees, Ronald Woods and Jill Robinson, who later resigned. Investigations by the new board discovered that the charity’s properties would require £21m worth of work to bring them up to "an acceptable standard", the report says, and the charity had also been presented with a £2.8m tax bill because the previous trustees had not being using the organisation for purely charitable purposes. The report says: "VHE’s new board has joined the commission in the legal pursuit of recovery of misappropriated charity funds from Mr Tughan, Mr Woods and Ms Robinson." Myles McKeown, head of enquiries and compliance at CCNI, said: "This inquiry has been one of our largest to date. Ongoing court processes, alongside the volume of the misappropriation of charity assets, mean this inquiry has been particularly complex and protracted. "The VHE case is not closed and the commission acknowledges that the charity has suffered significant losses due to the previous management. "However, we can assure the public, and the charity’s beneficiaries, that we and the charity’s current board are working to recover funds and ensure any remaining assets are used to fulfil the charity’s purposes." CCNI said it would publish a more detailed final report once all the legal issues had been resolved. The CCNI report says all people named in the report have had the opportunity to respond. It says only Woods disputed the report’s contents, and he was defending against the litigation to recover the allegedly misappropriated funds. investigation about. I now look forward to the conclusion of the litigation resulting in the return of the money to the charity. "As a result of the former trustees failing to use the charity’s assets for solely charitable purposes, the charity has to pay £2.8m to HMRC. In order to make this payment, the charity has sold 40 derelict properties in Belfast and a £1.5m flat in Mayfair, London, used by a former trustee. "The trustees are working their way through some very challenging legacy issues, including pursuing the return of more than £12m removed from the charity. The return of this money will go towards the investment needed to upgrade all the properties."